Of every inaccurate organ transplant scene in Hollywood, that’s the one Tenaya Wallace is most determined to fix. 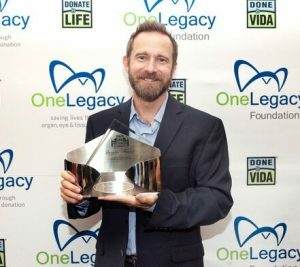 Tenaya is the founder of Donate Life Hollywood, an initiative launched by the One Legacy Foundation and its partners to help Hollywood portray organ donation in a positive, authentic light. Damaging storylines or comments on TV aren’t an intentional slight against organ donation, Tenaya said. In most cases, writers are horrified to know they’ve done something to keep people from registering as donors. And after a writer is alerted by Donate Life Hollywood, they rarely do it again. Tenaya Wallace welcomes Donate Life Hollywood supporters at the 2018 Reboot event. The campaign started in 2008 after a study by Dr. Susan Morgan concluded that when viewers see negative organ donation storylines on TV, they’re less likely to register as donors. 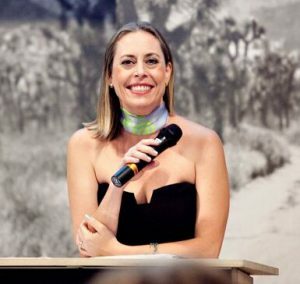 That came as no surprise to Tenaya and others in the organ donation community, but as a Los Angeles local with deep roots in the entertainment industry, she was the one tapped to do something about it. At the time, there was a surge of medical dramas on TV and some of the plot lines, such as the “stolen kidney” type of story — could be very damaging. Sometimes though, it was just an offhand remark. Tenaya’s job was simple, if not easy. She’d watch the offending episode, put together talking points and mobilize the donation community to inundate the studio with letters. Then she’d wait for the phone to ring. “I’d just tell them “when you make comments like that, it makes the public not want to donate,” she said. That point alone was usually a powerful wake-up call to writers, Tenaya said. In the case of “Samantha Who,” the offending comment was edited out before the show re-aired. Then there was the terrible episode of CSI. It was so terrible, Tenaya doesn’t describe it, but in the aftermath of the letter campaign and the apologies, she asked the writer to sit on a panel at an organ donation event. Tom Mone, CEO of OneLegacy, Tenaya Wallace, DLH Founder, and Aaron Mendelsohn, Secretary-Treasurer of the Writers Guild of America West at 2018 Reboot. It wasn’t just responding to bad stories though. Donate Life Hollywood also helped writers create positive storylines with authenticity. At one point, Tenaya met with Showrunner Carol Barbee who was overseeing an entire TV series about organ transplants. Not just one episode – every episode would be about a transplant center. 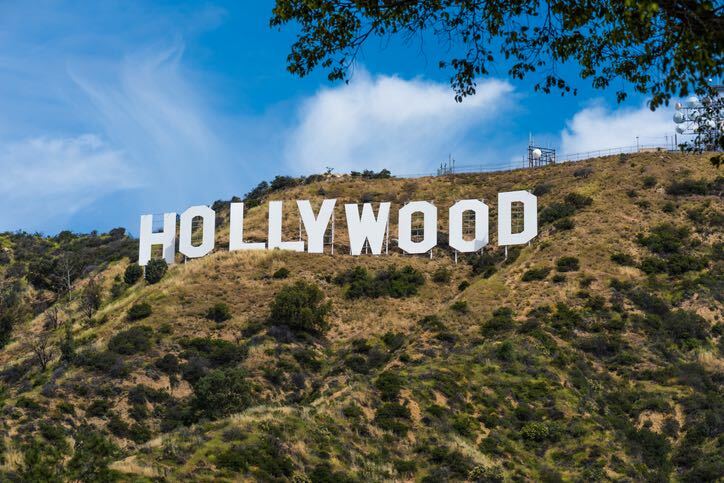 That show was Donate Life Hollywood’s biggest proactive partnership with the industry and it had a huge payoff – nationwide, donor registrations went up 6 percent that year. By 2012, Donate Life Hollywood could point to some impressive data in reversing the problems cited in Morgan’s 2007 study. Bad plotlines weren’t much of a problem anymore and positive messaging was the norm, even as medical dramas became less ubiquitous on TV. Having achieved its mission, the Donate Life Hollywood campaign shut itself down and Tenaya moved on to other projects. Aaron Mendelsohn accepts the Donate Life Hollywood Inspire Award on behalf of David Shore, creator of The Good Doctor. 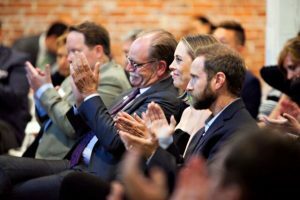 In 2017, a slew of new content and a wave of new Hollywood requests for consultation got leaders at the One Legacy Foundation talking again. They called in Tenaya and relaunched Donate Life Hollywood in early 2018. Tenaya is currently helping out with five reality shows, a musical, a few documentaries, two movies and a scripted TV show. One of her big goals now is to correct the misconception that doctors are involved in organ donation decisions. That scene where a doctor talks to a grieving family about donation is incorrect and damaging and she’s determined to change the way that’s portrayed. In reality, it’s always a third-party organization that talks to patients or families about organ donation after a doctor has made a diagnosis. Tenaya is trying to get writers to include those donor representatives in the script. One writer told her “We’re not going to write in an extra character just to show an organ procurement agency,” Tenaya recalled. She responded by pointing out that a storyline needs conflict and that the true-life role is a great opportunity to write in conflict – for instance an organ donation official getting mad at a hospital. She’s still trying to talk them into it. She’s also working to get an in-depth brain death storyline on the air. In most organ donation stories on TV, the patient has died of head trauma but the show doesn’t explain brain death, she said. There is an opportunity to show difficult and comprehensive brain death conversations between doctors and families. Over the years, she said, Hollywood has gotten great at getting organ transplant stories right but they still don’t do organ donation stories very well. And for the most part, the public has no personal connection to organ donation like they have to other medical procedures. “If you’re watching TV and you see a person getting chemotherapy through their toe, you’re like ‘That’s not right. My aunt had chemotherapy and that’s not how they did it.’ But organ donation is not something most people have experience with,” Tenaya said. “If they show organ donation wrong, it makes you feel bad, but you don’t know it’s wrong. We need to fix that.” It doesn’t have to be accurate, she said, but it needs to be more authentic.